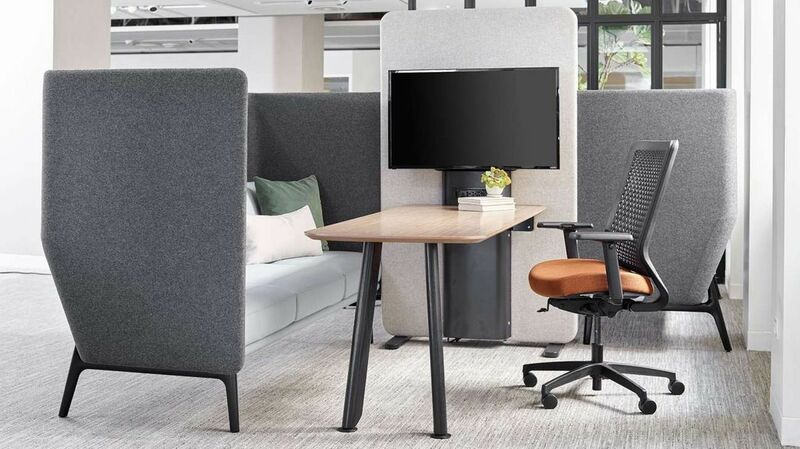 As we noticed at NeoCon 2018 this summer, acoustic furniture products with technology integration for open spaces (“Working Lounges”) are being developed at a breakneck pace. And they’ve evolved in their aesthetic, boosting appeal to the masses in Silicon Valley and beyond. When acoustic furniture first emerged, we saw bold colors: cherry red, vibrant purple, lime green, and sunshine yellow fabrics covering every surface. The angles were also rounder, taller and oversized, giving the impression of a fun, young, space-age room. Since its mass debut several years ago, acoustic furniture has grown up. 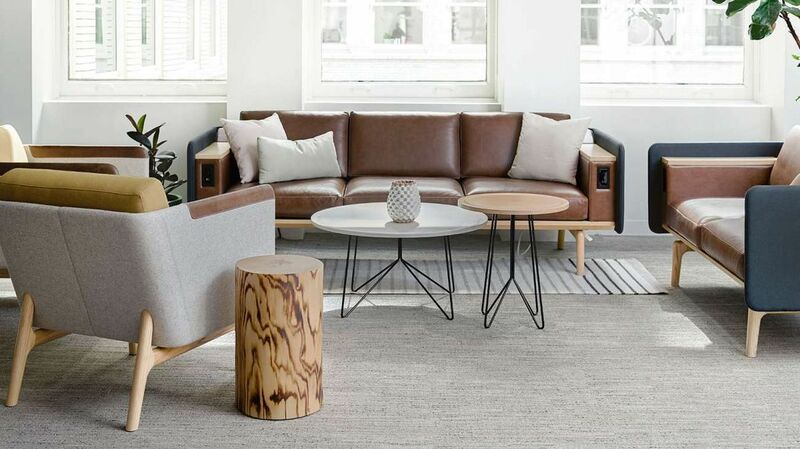 All the manufacturers collections, while still fun and innovative, recently presented acoustic furniture lines that feature a warmer, somewhat residential feel. Think hygge for your open office issues. The designers of StrongProject’s acoustic lounge seating, for example, created it to form smaller spaces within an environment. For individuals, this acoustic seating design creates a place for people to escape, think, and breathe. For groups, it creates a place for staff or visitors to closely collaborate and connect. 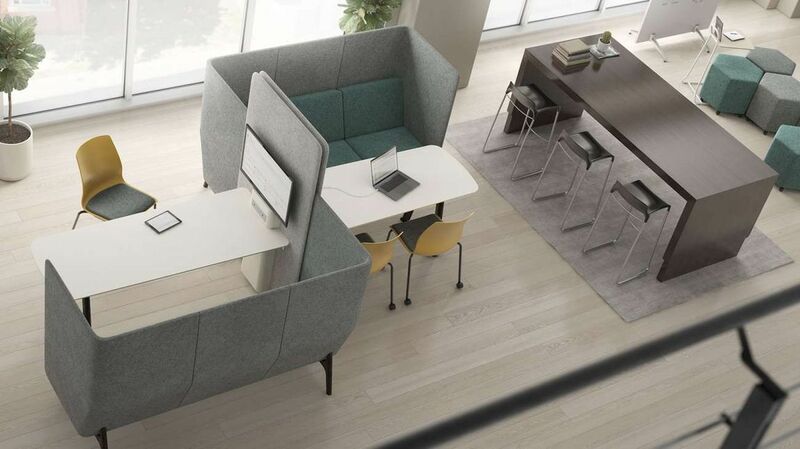 The comfort and visual softness allow these “rooms” to blend seamlessly into the office, while still providing the closeness and privacy people need to really focus. 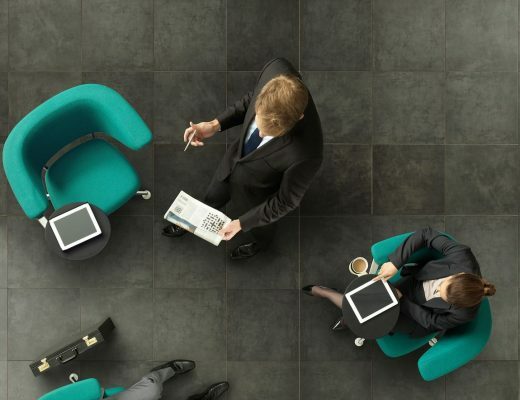 What we’re seeing now is the ability of acoustic furniture to solve the open office crisis, which was declared in a recent Harvard study to be inefficient. Each detail of a good acoustic design works together to create a pocket of people to gather or spend time alone, from its rounded corners to the precise thickness of the sound-dampening felt. Our acoustic furniture series are available in different configurations with options for tables, lights, and screen mounts, metal or wooden legs and many fabrics. Standard features like integrated power, tablet arm, and a privacy screen make it easy to get work done. Material options to match brand aesthetic include veneer or fabric back options, non-woven PET or acrylic privacy screens. 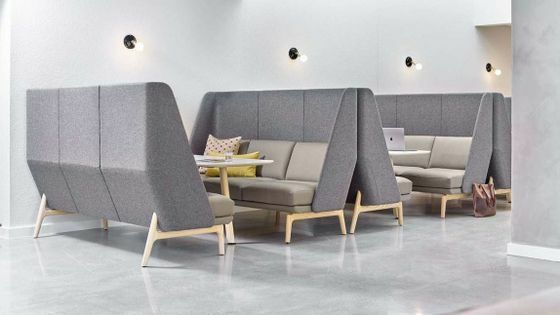 Highly adaptable and versatile, acoustic furniture can be configured to support individual work, touchdown and collaborative spaces, along with conference environments.